Caverion designs, builds, operates and maintains user-friendly and energy-efficient technical solutions for buildings, industries and infrastructures in Northern, Central and Eastern Europe. Our services and solutions are used in commercial, industrial, public and residential buildings and processes ensuring business continuity, safe, healthy and comfortable conditions, optimised performance and cost control. Caverion’s revenue for 2017 amounted to approximately EUR 2.3 billion. The company is among Europe’s leading providers of technical solutions for buildings and industries. 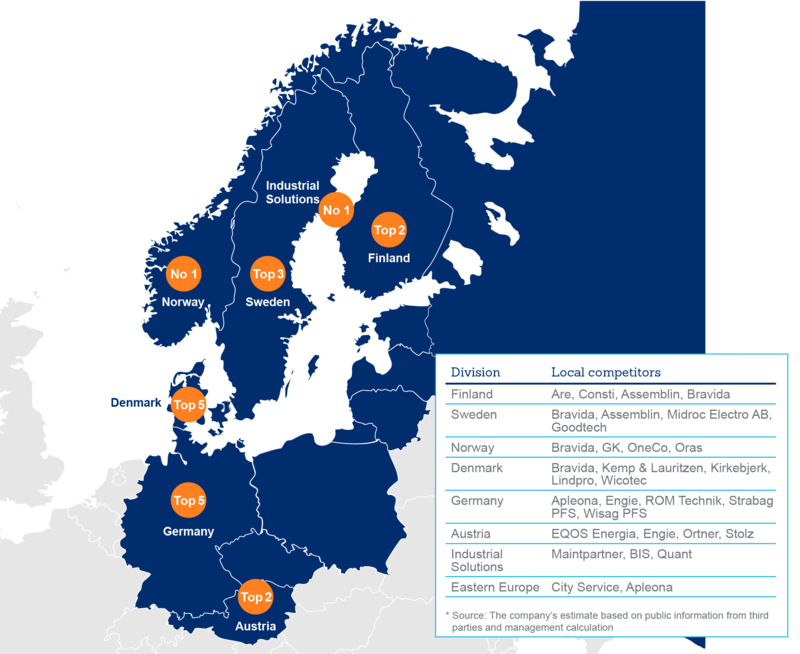 Caverion operates in 12 countries and employs about 16,000 people. Our head office is located in Helsinki, Finland. The Caverion share (CAV1V) is listed on the Nasdaq Helsinki.